The 84th Annual Summer Training Conference for Sheriffs will take place from Sunday, July 15 to Thursday, July 19, 2018, at the newly renovated Buffalo Marriott HARBORCENTER in Buffalo, NY; the #1 Marriott in the US for Overall Guest Satisfaction in 2016 & 2017. Erie County Sheriff Tim Howard and his Assistant Mickey Pawenski have been working with us to plan a productive and activity-packed conference that will highlight all of the spectacular features of their beautiful county. Conference sessions will address current topics of importance to sheriffs, We expect about 30 businesses from around the country participate in a tradeshow at the conference. 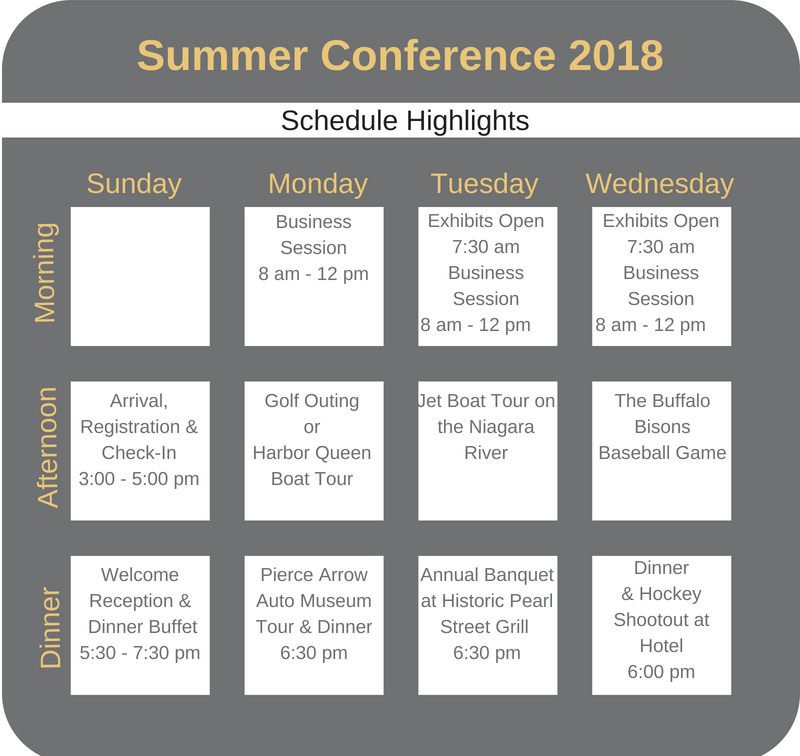 Click here for information about Summer Conference activities planned by Erie County Sheriff Howard. A block of rooms has been set aside at the Buffalo Marriott Harborcenter for conference attendees and exhibitors. The block will be held for our group until June 18, 2018. CLICK HERE for the hotel reservation form.